Mt. Opao’s peak is the highest on the left, followed by Mts. Kanimon, Loay 1 and Loay 2. The places and mountains were as identified by our local guide. I would appreciate helpful facts and sources of information related to the article. All photographs were taken by the author. Out of the 26 barangays in my beloved hometown Pilar, Capiz, we counted 10 that have mountains. The 10 are Sinamungan, San Esteban, San Blas, Monteflor, Blasco, San Silvestre, Tabun-acan, Yating, Olalo, and San Fernando. On Sunday, December 27, 2015, after a few days of planning, we scaled five summits namely Mts. Opao, Kanimon, Loay 1 & 2, and Pader in three barangays: San Silvestre, Blasco, and Olalo. Mt. Loay from the pond in San Esteban. Day and night, as I sit by the pond in San Esteban, I see Mt. Loay 2. It’s arrow-like peak has always made me curious. I wish to stand on that peak, I told my friends as I pointed to Mt. Loay 2, whose name I still didn’t know at that time. Break of dawn and the moon still shines as we scaled Mt. Opao. We left the pond at 5 am, and next rode in three motorcycles to the Plaza of Barangay Blasco. Our local guide and driver was tanod chief Jolly Boy Bawisan, who showed a masterful knowledge of the terrain. Since mountain climbing is about nature appreciation and preservation, I reminded everyone to make sure we leave no garbage behind. It was a difficult trek since it was almost a 45 degree-climb all throughout until we reached a beautiful plane overlooking Brgy. Salong of Balasan, Iloilo. We rested, our third rest for the climb, in a hut owned by our guide’s uncles Robillo and Abillo Bawisan. It was about 7 am and we found them preparing their breakfast of steamed cassava. We joined them and shared our salted eggs, tomato, and dried fish. The Banog Mountaineering Group on their maiden climb and photograph pose on the boulder just below Mt. Opao and overlooking Barangay Salong of Balasan, Iloilo. From left to right: Banog, Tagar, Anong, Tong-tong, Noynoy, Jolly Boy, and Sonny. Mt. Opao shrouded by fog on the right and Baragay Salong, Balasan, and neighboring barangays and islands below. Even eagles take their rest to the summit of Mt. Opao. On Mt. Opao’s summit. From left to right: Jolly Boy, Noynoy, Tagar, Tong-tong, Anong, Banog, ang Sonny. To reach the summit of Mt. Opao, Jolly Boy had to slash tigbao grass to make way for us. Still we struggled wading through the thick leaves and stalks. We were thinking no one had yet reached Mt. Opao’s summit until we saw a concrete slab inscribed with a pyramid and a 1.5 inch nail in the middle of the drawing. Jolly Boy also had to make a little more clearing so we could all stand on Mt. Opao’s summit. At the summit, we could not see anything beyond three or four feet because of the fog. Local residents told us that many years ago, a plane carrying Japanese women-passengers said to be on their way to Sicogon Island–crashed on Mt. Opao and left the pilot dead. A bag of money was recovered from one of the residents who was said to be identified because of a cleft lip. The airplane parts were taken by residents to their respective barangays. Local folks say that the propeller remains in San Silvestre. Even the photographer needs to have his picture taken sometimes. To Mt. Kanimon. Because of the fog, we descended Mt. Opao without any pictures of the surroundings. On our way to Mt. Loay 1 & 2, we passed through the summit of Mt Kanimon. By this time, the group, composed of Rodjie “Anong” Badana, Sonny Badana, Joeman “Noynoy” Beltran, Edgar “Tagar” Bacanto, Dominice “Banog” Banes, and the electrician Garry “Tong-tong” Bacea, and I, have already decided on the group’s name “Banog Mountaineering Group” in honor of Dominice “Banog” Banes, the silent but diligent pond supervisor. Except for Tong-tong and Banog, my friends’ job description changes by the season. During sugar cane and rice harvest seasons, they either cut sugar cane and load them into trucks, or harvest the palay. During sugar cane and rice planting seasons, they also plant either sugar cane or rice, or till the land with the help of their carabao. When all these seasons have passed, the pond owners need them to maintain the pond’s dike or to excavate a new pond. I’ve known them when I had my father’s pond renovated. Most of them used to work as fishermen and spent days and nights on the sea. Closeup shot of Mt. Loay 1 & 2. On the summit of Mt. Loay 1. From left to right: Banog, Jolly Boy, Sonny, Tagar, Noynoy, Anong, and Tong-tong. We descended Mt. Kanimon after an hour and passed through a tunnel of leaves of tigbao grass and exited to the other side near Mt. Loay 1’s summit, where we were greeted by a family of anwang (carabao) : two large anwang and a baby anwang. On the left, we saw houses of people from Barangay San Silvestre and Tabun-acan. On the right were houses from Barangay Blasco. The anwang (carabao) family that welcomed us in Mt. Loay 1. We took photos on the summit of Loay 1 and proceeded to Loay 2, our final destination. This is the summit I gazed with longing from my place in San Esteban. The Banog Mountaineering group on the summit of Mt. Loay 1. From left to right: Banog, Tong-tong, Tagar, Anong, Sonny, Noy-noy, and our guide Jolly Boy. On a lonesome stone on the summit I took a selfie. We cleared the area and celebrated our success on another group of stones by the side facing the sea . It was about 10 am and the sun was covered by dark clouds and the wind was frequent and cold. From Mt. Loay 2’s summit we could see the long coastline of Pilar. Funny we could not locate the pond from the summit although we guessed it was somewhere in between a patch of trees beside wide fish ponds. But we could identify our hometown Pilar, the Pilar fishing port, the Pilar Cemetery, the Marciano or Pilar National High School. On the left side were long lines of fish ponds in Tiko a.k.a. San Fernando, and Dulangan. I was looking for Mt. Agtalin where the Agtalin Shrine is located, but it was hidden from view by Mt. Pari. To the right was Tukad, the islet believed to be made of corals that emerge only during low tide. Farther right were the Gigantes Island and Sicogon Island. At the back were mountains in Iloilo and mountains of the nearby barangays of Tabun-acan, San Silvestre, and Yating. On Loay 2’s summit. From left to right: Sonny, Anong, Tong-tong, Tagar, Banog, and Noynoy. The selfie with Anong behind me. Nice hair, ‘nong! Sonny checks out the view behind tigbao grass on the summit of Loay 2. After taking pictures, I settled on the side of the rock to hide from the sun and watched two banog (eagle)–brown with white feathers on their legs –glide through the air below us. A red truck was inching its way towards the plaza, followed by three motorcycles. After a while, we heard some music. Our guide said that there would be dancing in Blasco Plaza that night. By this time, the oldest among us, Sonny, had started grilling pork for lunch. He was helped by our youngest member, Noy-noy, who introduced us to Jolly Boy who brought us to the mountains. We cut some banana leaves, put them on top of the rock, and placed the grilled pork and our rice. As early as 2 am, Tong-tong cooked our rice and placed it inside the biscuit-pail. We also brought a plastic bag of charcoal. On our way down, we had to go back and circle Mt. Loay 2’s peak because right after the stones where we had lunch was a cliff. Sonny poured all the water from his container to put out the fire and poked the charcoal to make sure nothing is left burning. Jolly Boy again had to cut tall grass to make way for us. He stopped to show us alingaton, a plant that is said to be so itchy upon skin contact that its itchiness can only be overcome by applying the sap of another itchy plant either payaw or badyang. Half-way to the foot of the mountain, we passed through the peak of Mt. Pader. We descended through fields of dried and cut corn stalks. I asked our guide about the way if those fields were planted and he pointed to the left which I interpreted to be a longer way. By 12 noon, we were already in the house of Barangay Captain Mario Bawisan beside Blasco Plaza signing our names in the barangay’s logbook of visitors. By 1 pm, we were already home. Our final destination, Barangay Blasco plaza, from the summit of Mt. Pader. 1. Although the ascent to Mt. Opao was very challenging, it was short, only about an hour, and you’ll be rewarded with a spectacular view of northern Iloilo upon reaching the Bawisan hut. 2. After reaching Mt. Opao, it would be an easy and scenic trek towards the other peaks. 4. We could see Barangays Tabun-acan, San Silvestre, and Blasco on the way to Mt. Loay 1, and the aerial view of Pilar town on the summit of Luway 2. 7. We saw the aerial view of my hometown Pilar from the peaks of Kanimon. But the closest view is from Mt. Loay 2. 8. We only had our local and unofficial tour guide as source of the mountains’ names and he does not know how those mountains came to have their names. From Roxas City airport, ride a tricycle to the terminal station in Pueblo de Panay. The fare is P60-P100. From Roxas City terminal, ride a van or bus (P55/head) to Pilar Public Market. The van ride takes between 45 minutes to one hour and 20 minutes. The bus ride takes between one hour and 30 minutes to two hours. In the market look for the motorcycle terminal to Barangay Blasco (P25/head). It’s about an hour ride crossing through one river twice. From Iloilo City airport, ride a van to SM City Iloilo for P50. From SM City Iloilo, ride a jeep to Tagbak Jaro Terminal Station for about P10-P15. In Tagbak, you have a choice whether you go via Roxas City or via Balasan. In Balasan, ride a bus or van to Pilar Public Market. Here is Jolly Boy’s number: 0910 060 6490. Please be patient when texting or calling him because he doesn’t bring his cell phone with him. 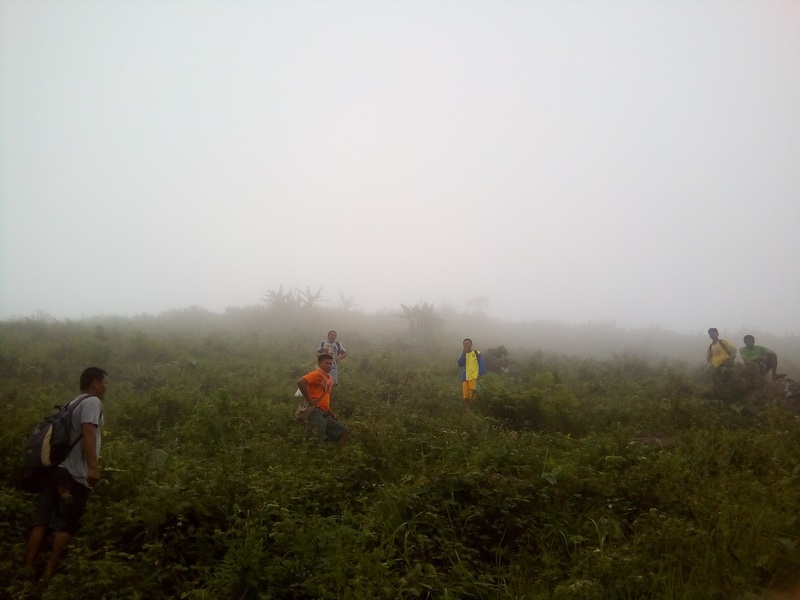 This entry was tagged beginner's climb, Blasco, capiz mountains, first mountain climb, less known scenic spots, Mario Bawisan, mountain climbing, Mt. Kanimon, Mt. Loay, Mt. Opao, Olalo, Pilar Capiz, pilar mountains, pilar scenic spots, Tabun-acan, travels, Yating. Bookmark the permalink. Bert (RG Alba), check “Places” on top of this blog for homegrown articles. well written gard, makes one feel the journey from your screen alone… more homegrown articles please! Thank you, Manang Griselda. Let’s climb together mountains in our hometown soon. Madamo pa manubo kag malapit lang nga mountains. Have you heard about the tsunami scare in Pilar sometime ago? Didto sila sa mga manubo lang nga bukid nagsaka. May duha ako nga nakita sa San Esteban. Very informative and very interesting!